Novak Djokovic topped Roger Federer to defend his title at the 2015 BNP Paribas Open, again prevailing in a three set match in which the Swiss twice fought back from a break down in the final two sets. Just three weeks ago, Federer defeated Djokovic to claim his seventh title in Dubai, fending off all seven break point opportunities, but Sunday in Indian Wells, the Serb took command and converted the first break chance of the match on his fourth chance at 3-2 in the first set. With slower court conditions, Djokovic took advantage of his versatile movement along the baseline, using higher bouncing groundstrokes off both wings to prevent Federer from attacking the net, which was often the case in their last match. After Djokovic won the opening set, the 38th meeting between the top two players in the rankings appeared to be a short, straight sets matter, as the Serb would break early in the second set. However Federer fought back to even the second set, despite nearly going down two breaks. The controlled aggression caused Djokovic to feel the pressure and falter in the moment, hitting three double faults. Forcing a tiebreaker, the 33-year-old Swiss edged out his younger opponent to push the final into a third set. Again down a break immediately, Federer managed to break back after a long service game for the 2015 Australian Open champion, yet would not be able to maintain things from there. Djokovic found his groove one last time to break, and after 2 hours 17 minutes, claimed his 21st Masters 1000 title and 50th career title with a 6-3 6-7 (5) 6-2 win. 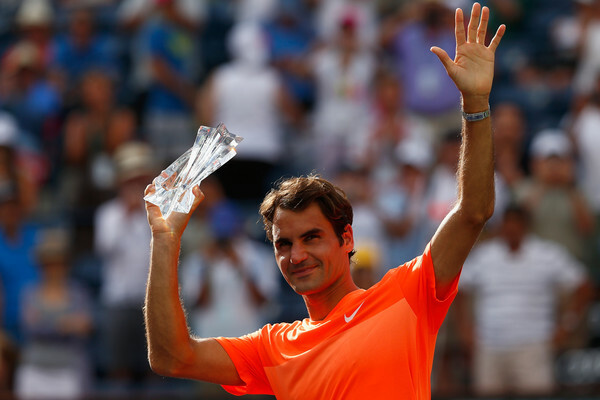 Federer’s head-to-head record over Djokovic narrows down to 20-18. Afterward, both players reflected on the grueling match (video highlights and post-match interview below). Federer will skip the Miami Open, heading back to Switzerland to rest, train, and return for the Monte Carlo Masters, which begins April 12 (Roger Federer 2015 Schedule). 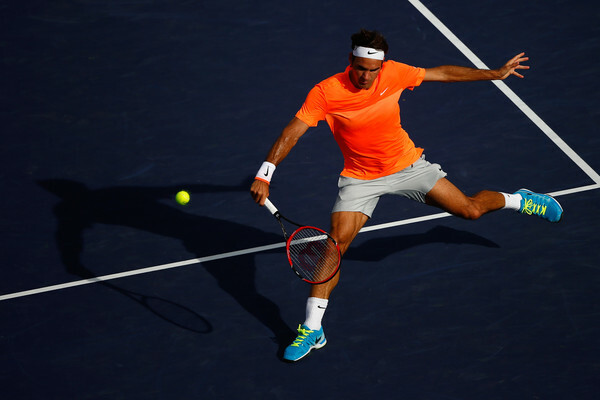 Indian Wells 2015 Best Hot Shots.